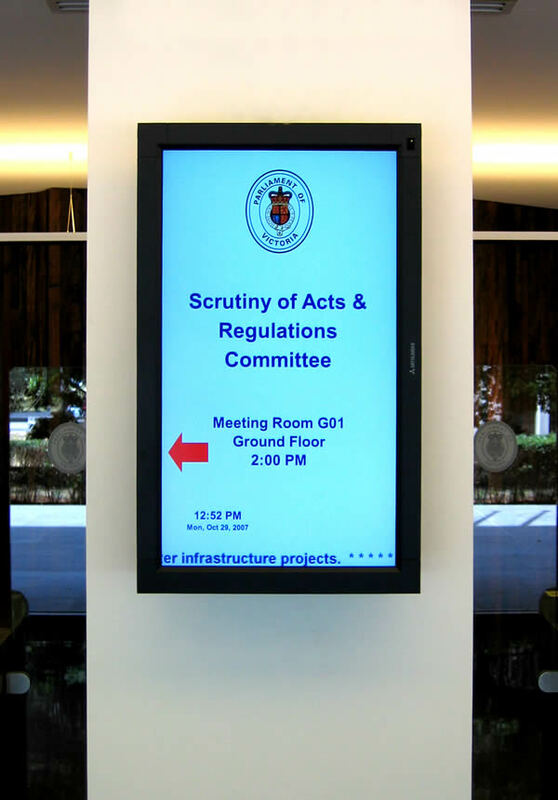 A digital signage system consisting of Internal Communications is ideal for Local, State and Federal Government use. Either for staff and internal use or facing the public. Staff training, department information, digital noticeboard, directional information, wayfinding throughout the building, security alerts, safety details, all can be displayed through your own digital signage TV system. The public can be provided general information, directional details, department information and procedures. A public display can reduce the perceived wait time and assist staff in displaying key information.